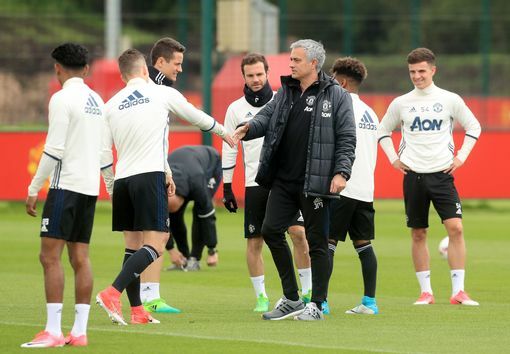 The expected group, alongside Angel Gomes, who became the youngest player to win the prestigious Youth Team Player of the Year award on Thursday night, were all pictured working hard in training with the first team on Friday morning. Very rarely will Old Trafford witness such a plethora of debuts in one afternoon. Ryan Giggs’ decision to give James Wilson and Tom Lawrence Premier League starts back in 2014 was perceived as radical at the time, but Mourinho’s next starting XI promises to give the Welshman’s side from that evening something of a conservative semblance in comparison. Then again, Mourinho has his hands tied in this situation. Never before has the Portuguese placed such a high volume of youth in the limelight, and supporters will be eager to see what kind of performance these youngsters can churn out against an Allardyce side playing away from home.